Life Skills: Visual Schedule Planner- Goal Tracker does a wonderful job of consolidating visual schedules, reward charts, and schedule related social stories all in one app. 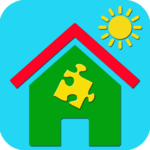 The app introduces the idea of independence and reinforces life skills with young children. It offers a nice number of features without being too overwhelming. Initial set up will need to be done by caregivers. Life Skills: Visual Schedule Planner- Goal Tracker is great app for parents and teachers who have younger children, as we can foresee older children outgrowing the childish animations and pictures, so it is not a forever app. However, it is wonderfully colorful and engaging for those who are between kindergarten and fourth grade.